When you are ready for your next adventure in Palestine, TX, make it happen in the Dodge Journey. Take a test drive in the Journey today at Elliott Chrysler Dodge Jeep Ram Fiat Palestine. If you are the adventurous type that seeks out the next thrill on the weekend, you need a vehicle to get you to your destination in style. The Dodge Journey is the vehicle that can get you there and offers plenty of features to make the ride stylish, comfortable, and convenient. Come see the Journey at Elliott Chrysler Dodge Jeep Ram Fiat Palestine and take a tour today. The Dodge Journey’s interior was built for road trips and adventure. Not only is it roomy, it offers plenty of features that help you keep your cargo organized while on the go. There is a Cargo Area In-Floor Storage that gives you ample room to store items you don’t need right away, In-Seat Storage, and an In-Floor Cooler that you can keep your favorite beverages cool in. The fold-flat seats give you maximum cargo room for larger items when you need it, or you can choose a combination of passengers and cargo if you need it. The heated steering wheel and front seats give you the comfort you need when you want it so you can always find the perfect driving temperature. The middle-row offers built-in booster seats for your younger adventurers to be safely seated in while you are on the go. Stop by Elliott Chrysler Dodge Jeep Ram Fiat Palestine and check out the Journey in person. When you need to keep everyone entertained on your next adventure, the Dodge Journey has your back. You also need it to keep you on track and make the drive a little more enjoyable too. The Integrated Navigation allows you to find the fastest path to your destination and gives you 3D Maps with real-time traffic updates. You can also get weather updates so there are no surprises on your drive. SiriusXM Satellite Radio gives you over 150 channels of listening entertainment so there will never be a dull moment on your ride. The Rear Seat Entertainment System offers the kids the ability to watch a movie on the 9-inch flip down screen. The available Wi-Fi Hotspot allows you to stream videos, games, and more on your kid’s tablets for even more entertainment options. Let our technology experts at Elliott Chrysler Dodge Jeep Ram Fiat Palestine give you a full demo of these features today. Sometimes you just need to take your toys along for the ride. When you choose the Dodge Journey, you can take it all with you. The powerful 3.6-liter Pentastar V6 engine and six-speed automatic transmission give you 283 horsepower and 260 lb-ft of torque. This combination allows you to tow up to 2,500 pounds with ease, which means you can take along a trailer, jet ski, boat, camper, or anything else you need along for the ride. Go camping, hit the lake, or haul your bikes with your Dodge Journey for the ultimate adventure. The all-wheel drive gives you a better handle on the road, especially when you are towing. The Journey features Trailer Sway Control so your trailer stays where it is supposed to be while you head down the road. Check out these features at Elliott Chrysler Dodge Jeep Ram Fiat Palestine today. 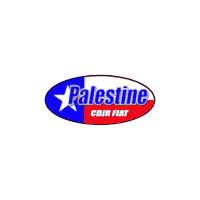 Elliott Chrysler Dodge Jeep Ram Fiat Palestine is your destination for the Dodge Journey. The Journey is a popular vehicle so they tend to fly off our lot. If you are interested in the Journey, hurry in because there is a limited inventory on our lot and we want to make sure you get the Journey you want. Take a look at our inventory online, then come in and take a test drive today. We are here to answer any questions you may have in person, by phone, or by email anytime. We look forward to meeting you and helping you find your next Journey.